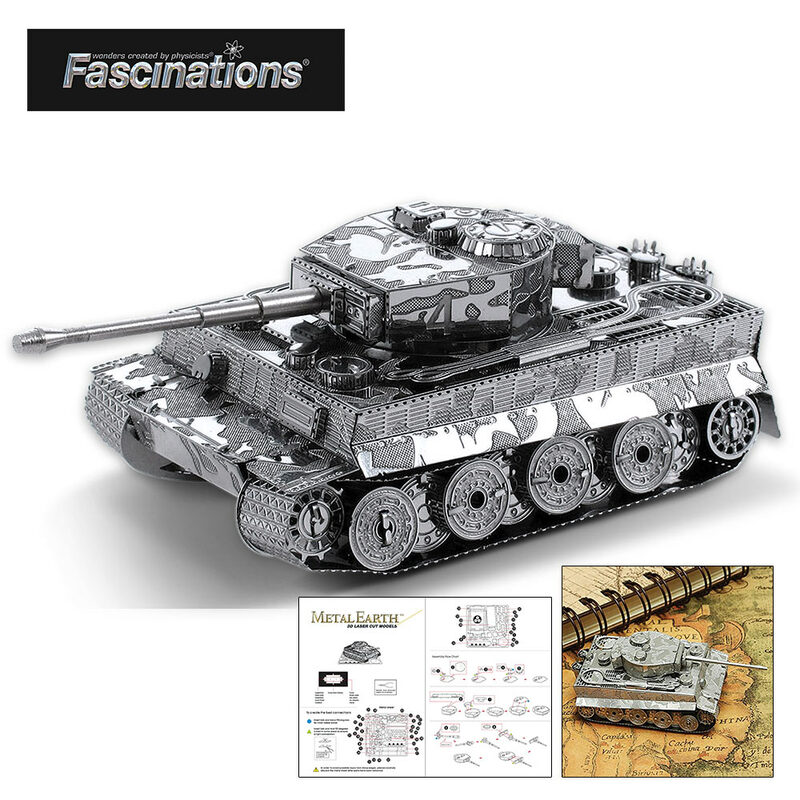 Fascinations Tiger Tank - Metal Model Kit | BUDK.com - Knives & Swords At The Lowest Prices! Assembled Size: 2 9/10" x 1 4/5" x 1 1/5"
Build an amazingly detailed metal model of a Tiger Tank, a German tank that was the most powerful tank in the world when it was introduced in August 1942. This is a great project for ages 14 and up or any model enthusiast. 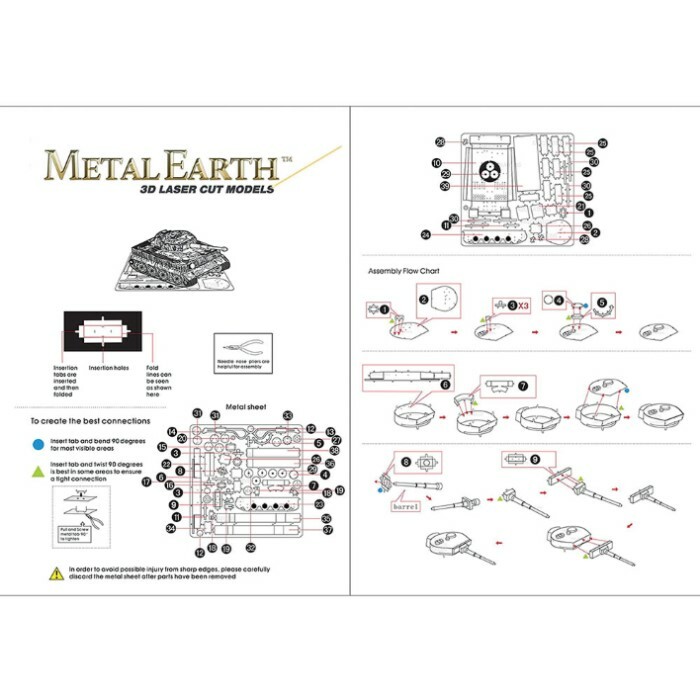 The model features incredibly accurate details with parts cut from two square steel sheets. 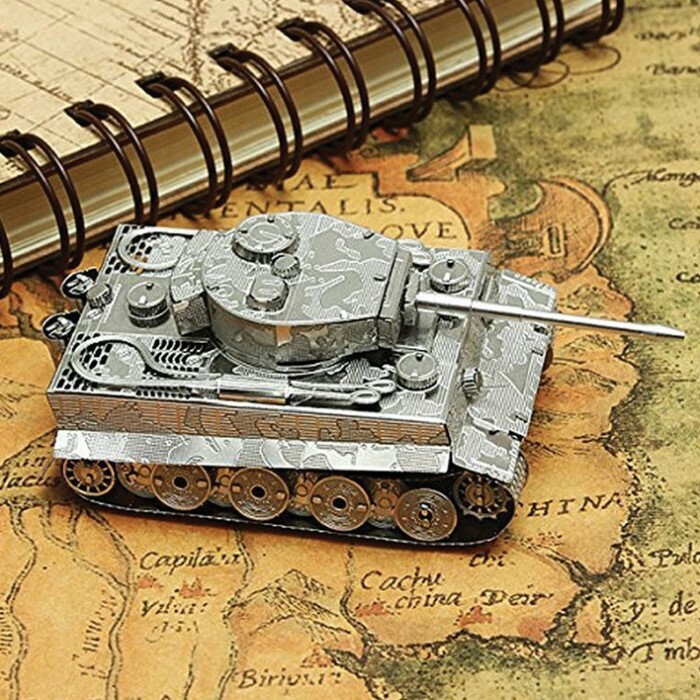 No glue or solder is needed to put together this tank model. It couldn’t get any easier. Simply snip out the pieces and bend the tabs through corresponding connection points. Tweezers or small needle nose pliers are suggested to facilitate assembly.